Breath-taking is the only way to describe Brazil. 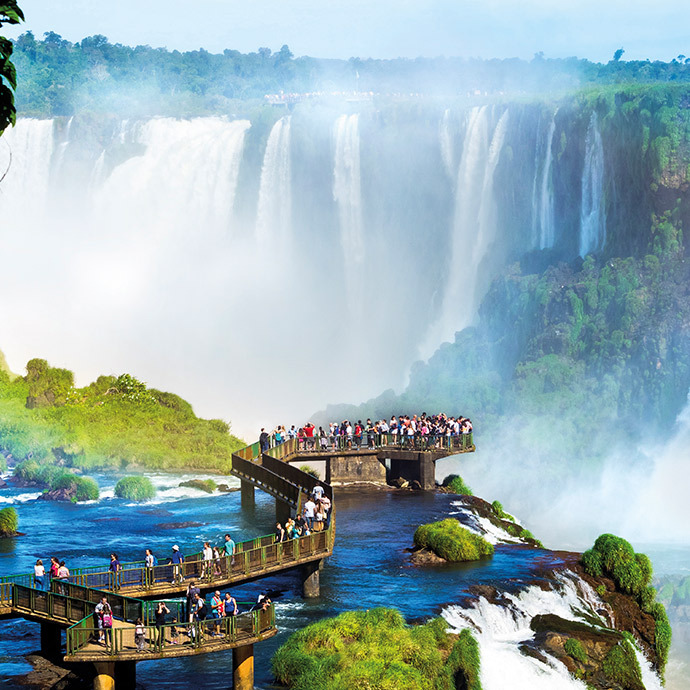 As one of the world’s biggest countries, achieving the right balance between relaxing and exploring can be a challenge here, which is why Brazil touring holidays from Travelsphere are undoubtedly the best way of experiencing a thrilling adventure in this extraordinary part of our planet. The south is where you’ll find some of its most spectacular scenery, from verdant vineyards as far as the eye can see to one side of the mighty Iguazu Falls – the world’s largest system of cascades. The city of Rio de Janeiro is also well worth a visit; famed for its 38m Christ the Redeemer statue and bustling Copacabana beach, you’re guaranteed a great time. It's also here that the legendary Rio Carnival, frequently referred to as the 'Greatest Party on Earth', takes place. For Brazil guided tours like no other, Travelsphere is your best bet. Brazil offers a whole multitude of once-in-a-lifetime experiences. From cable cars and superb sunshine to white sands lapped by azure waters, there’s simply nowhere else like it on Earth. 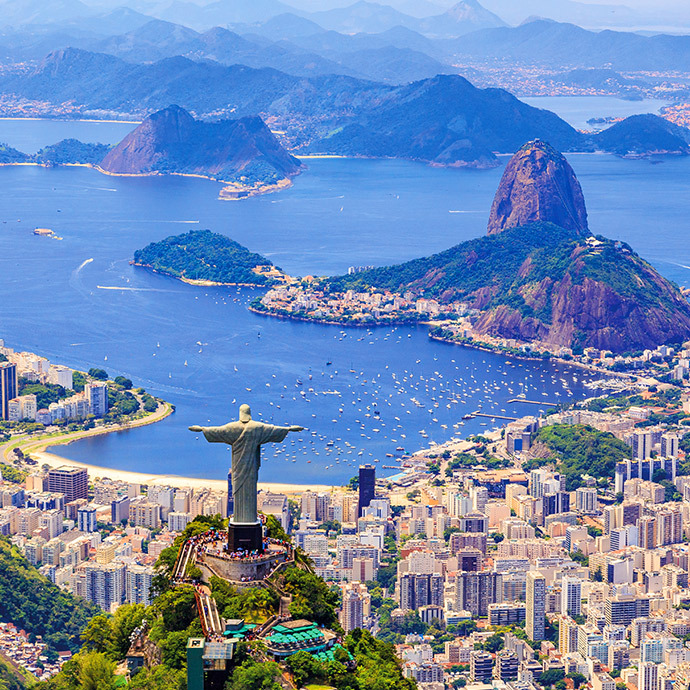 Brazil escorted tours with Travelsphere treat you to a wealth of sights and attractions everyone can enjoy; whether you’re a culture vulture or a nature lover, being impressed is the only logical outcome here. And if you like to party (we know we sure do! ), there’s even the option to go on holiday with us during the spectacular Rio Carnival Winners’ Parade, to which you’re cordially invited. Book your Brazil escorted tour with Travelsphere for a trip you’ll remember (and cherish) forever!